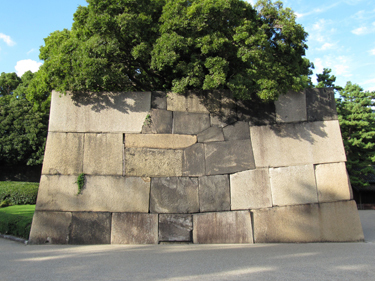 Walls are vertical planes that enclose space. Some exterior walls are bearing walls which means that they are supporting the building. These walls are solid with very few openings. Openings in bearing walls disrupt structural continuity and require extra structure to carry the weight of the wall and roof above. Walls carry loads from above their entire length. Tall walls need to be reinforced or they will fall! Solid walls are made of stone, masonry, wood, adobe and materials that provide protection and separate the inside from the outside. Some exterior walls are not structural. These walls are called non-bearing. They may be infill walls between the structural systems , or they may be curtain walls. Infill walls do not carry the weight of the building. They can be made from a variety of materials to close in the space. Curtain walls on the other hand are light frameworks of glass, metal, aluminum, wood and thin stone that literally hang like curtains from the buildings structure. Transparent or translucent walls are made of glass, polycarbonate or other rigid material. Walls may be interior as well as exterior. Interior walls are often non-bearing, which means they can be moved without affecting the structural integrity of the building. From heavy to light, walls have been used to protect, shelter and enclose. During uncertain times, many cities built walls and ramparts to protect residents from roving attackers. 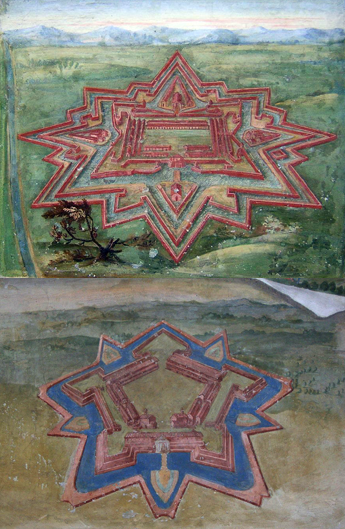 New cities were often walled and designed as protective, safe areas. City gates were opened in the morning and closed at night. Tolls were often collected to enter the city. In more peaceful times, many of the walled cities tore down their ramparts to let more people and more trade in. Using Google Earth, look these cities up and zoom in to see their walls. Fly over their ramparts and imagine being the town scout. Print some of them and trace over the original walled city area. Locate the turrets and look out towers and main gates. Compare the different walled city maps. Which city has the most gates? Which city encloses the largest area? Which city is the densest? Travel the world and discover walled cities! Castles were built as fortifications. They were often set on a high promontory or hilltop. Castles began to be built with inner walls and outer walls, surrounded by a moat for added protection. A drawbridge or portcullis could be lowered and a spiked gate rose to accept guests. Guests often arrived in an inner court where the life of the castle greeted them. Kitchens, general sleeping barracks, and animal storage were typical. In early castle,s the keep was circular with several stacked floors. In larger castles there were great halls and even chapels. Research castles. Make sketches of them in your journal including plans and perspective. Then design and draw a castle of your own. Be sure to include thick walls and ramparts, moats, walls, gates, guard towers, keeps, great halls and anything else you imagine. Now it is time to research walls far and near. What wall is the longest wall in the world? What wall is the oldest? What wall is the most visited? and what wall is the thickest! Try to take a virtual field trip to all of these walls. Then write a short paragraph about their history, their importance, their construction and their significance. Curtain walls wrap buildings with light and often glassy exteriors. 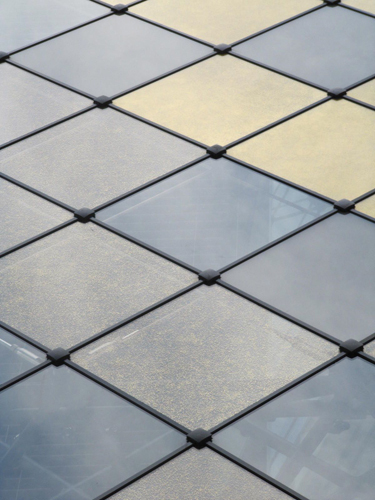 Curtain walls are framed grids of glass, aluminum, metal and sometimes even thin stone. Curtain walls are mounted either from the inside of buildings or the outside. Grab your digital camera and your notebook. 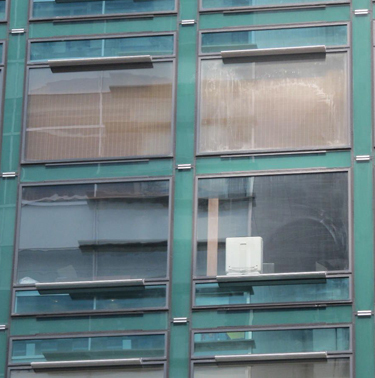 See how many curtain wall frames you can find in your downtown. Are they horizontal? Are they vertical? Is the frame visible or hidden? Does the horizontal grid match up with floor lines? Keep a keen eye on the proportions of the frame and all of the parts. Print your photographs then draw the frames in your journal. Label the materials. Now that you have seen curtain walls, explore online to find other examples of curtain walls. Design one of your own! Infill walls are interior or exterior walls that ‘fill in’ between structural elements of a building. They are made of many materials. Key to material selection is look, cost, availability, light desired, acoustical privacy desired. Both architects and interior architects design infill walls to contribute to the expression of a building’s public or semi public (inside) appearance and its experience. Draw examples of both interior and exterior infill walls. Curtain walls are made of curtains. 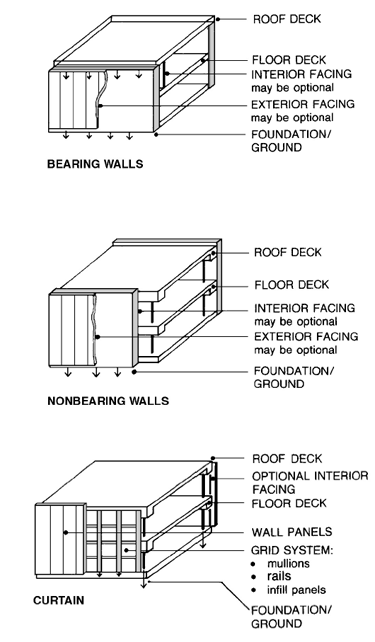 Bearing walls cannot have doors or windows. Walls can be thick to thin. Video TEDed What makes the Great Wall of China so extraordinary?